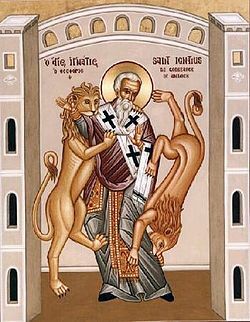 – Ignatius of Antioch (late 1st century – c. 115), To the Trallians, ix. * Ignatius was writing against the early church heresy of docetism – the belief that Jesus only seemed (Greek: dokein, “to seem”; hence “docetism”) to be human, and that his physical body was merely a phantasm. It was very difficult for some to believe that God actually became incarnated as a genuine man, and docetism developed as a result. Early Christian writers wrote strongly against it, and it was unequivocally rejected at the First Council of Nicaea in AD 325.